THE BEST CAMERA is the one you have on you. While not all of us can have a DLSR on us, our smartphone is a good alternative. The quality has improved significantly in the last few years with modern phones now allowing low-light photography, sharper focus and pro features to help you capture the perfect photo. The rules for the tests were as follows: All shots were taken in auto mode. No settings were changed, and most photos were taken inside to ensure consistency. 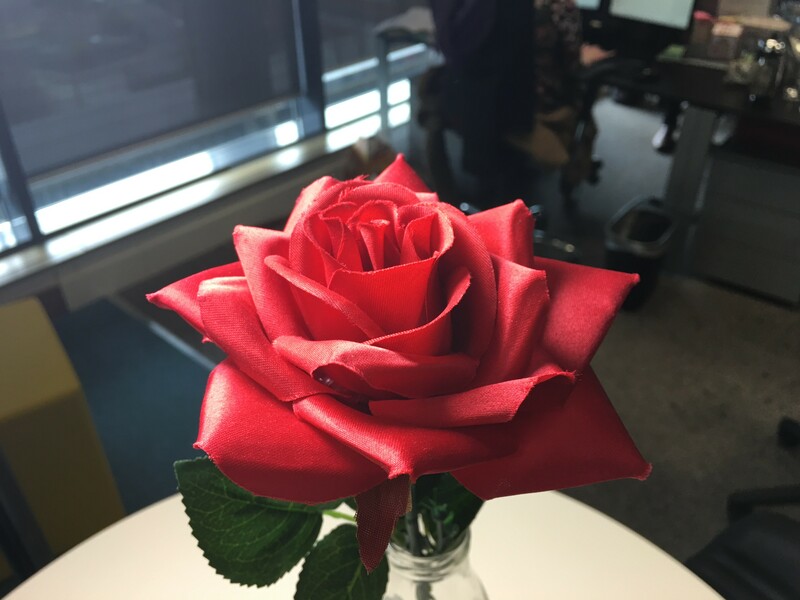 Starting off with a close-up photo of a fake rose under light, there is a clear and immediate difference between the four in how each camera captured the red colour. Both the Samsung S7 and P9 go for vibrant colours so their photos pop out more. While the red hue is more striking, both photos end up losing detail as a result, with the P9 being particularly guilty of this. The iPhone 6s Plus and HTC 10 fare better as both focus on more realistic colour, capturing a much wider range and showing more detail in the shadows. Although it’s close, the colours captured by the 6s Plus were not quite as vibrant as the HTC 10 and one point were slightly over-exposed. While the iPhone’s colour issues could be corrected with some quick photo editing, the HTC 10 is the winner here. A shot of the rooftops of Dublin during an overcast day has the iPhone 6s faring well, thanks to its balance between realistic colours and the level of detail it captures. It manages to be more true to life as a result. The HTC 10 follows closely but ends up losing some detail in the clouds. The S7 lost even more detail in the clouds, and the camera’s vibrant colours ended up adding a slightly blue tint to the scene. The P9 ends up being more similar to the iPhone 6s Plus with its brightness but isn’t as detailed. When it came to using the front-facing camera, the differences between the four cameras really showed. Probably the worst photo came from the Galaxy S7, making the subject look pale and in need of sunlight. This was followed closely by the HTC 10 which manages to put a little colour into the subject’s face, but didn’t quite capture the hue correctly. In comparison, the iPhone 6s Plus is more vibrant with a brighter photo, and is more clear than its rivals. Again, the iPhone captured finer details. The P9′s image is little more pleasing to the eye than the HTC and Samsung, but it ends up looking almost airbrushed. Although the iPhone wins this round, patches of the image are close to being over-exposed. While it’s something each phone has pushed as a selling point, all four smartphones perform similarly when under low-light conditions. Noise – a grainy quality to photos taken in low-light conditions – was obvious in the images taken on the iPhone 6s Plus, HTC 10 and P9, although this is to be expected.The HTC 10′s colours were quite gaudy and unrealistic. The S7 comes out on top – and by a country mile. The noise, although present, isn’t half as obvious, and the colours pop. Food often looks awful under a phone’s flash, so we picked this plate of flapjacks to test things out. The iPhone 6S Plus fares the worst in this test, yet again overexposing the image. The HTC 10 ends up with the opposite problem, with an underlit subject even with the flash. The P9 and S7 both fared better, but in different ways. The P9 captured more of the background while the S7 isolated its subject – both describable but in different situations. The S7 loses out as it didn’t capture the colour of the flapjacks (which were delicious) as accurately. Comparing it to the other photos, you’ll notice how the 6s’ field of view is narrower than its competition. The difference is minor, but manages to stay true to the scene in question. The S7 fares better with a wider shot although the brighter colours does make things look a little washed out as it emphasises the orange light. The shot from P9 is the darkest of the four but only just yet it’s the HTC 10 that wins out thanks to its wide-angle shot which managed to stay true to the scene’s colours. While the iPhone range has managed to offer the best smartphone camera for a while now, that appears to be changing very quickly. While it’s the best in offering accurate colour and detail, the Samsung Galaxy S7 manages to do the same but with a more vibrant – although sometimes unrealistic – colour scheme. Yet the S7 and P9 are probably better for shoot and show type photos while the iPhone 6s Plus and HTC 10 are better suited for post-editing since they create a more realistic depiction of a scene. While the iPhone 6s Plus is still the standard, the HTC 10 puts forward a strong case. Which one you think is better really depends on what you want from a camera. Email “We put these four top smartphone cameras to the test. Here's how it went”. Feedback on “We put these four top smartphone cameras to the test. Here's how it went”.